Sew! Can! 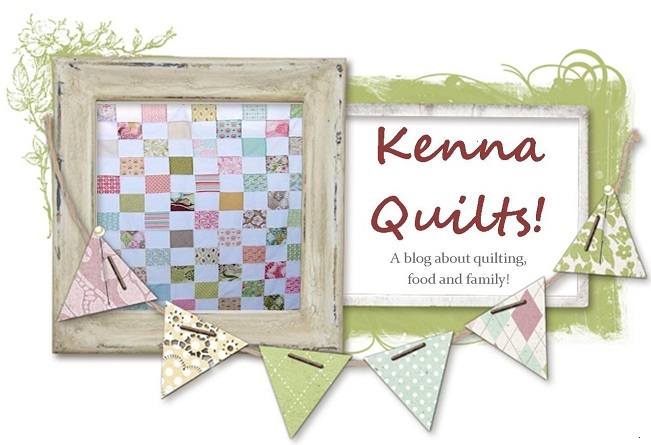 Kenna: Sew productive weekend! I was "sew" productive this weekend! Before the "Leap Day Giveaway" I went into my sewing room and started digging through a few bins of fabric that I forgot I had. Next I found a darling blue panel and a coordinating backing fabric. ﻿I have a good friend who had a little boy a few months ago and I have been amiss in not sending a present! I have made quilts or blankets for each of her other children and I know she is particularly fond of the flannel blankets so I am going to send this one to her now that it's finished! And lastly....a quilt top! I started this quilt top a year or more ago (I might have started it while I was pregnant....so maybe 2 years ago?) and it was made from 2 charm packs from 2 different but colorly similar MODA lines (Random question...does anyone recognize the fabric? I don't know what lines they are it's been so long!) and 2 charm packs of bella solids. I call this the quilt that ended my relationship with bella solid charm packs....a little back story. United Notions, who owns MODA fabrics, has excellent customer service. A few years ago I made the "Make Life" quilt from the moda bake shop and I found and ordered the labels. They were HORRIBLE and none of them was straight nor true to size. I was dismayed and emailed customer service and they sent me a new pack. So I know if I would have said something they likely would have tried to make it right....BUT....I was already half way into this quilt when I realized that not all charm packs are created equal. Meaning they aren't the same size....at all. I guestimate that over half of the charm squares in this quilt were cut 1/8" smaller than the printed charms. SO frustrating. SO annoying. and HELL on accuracy. Which is why I stopped working on this quilt. BUT I do like it so I plowed on until I got it finished. I really do love this quilt top. So I now need to decide on borders (I'm leaning to no border) and then find a back fabric and quilt it! That's all...but not bad for a weekend!! Yes, charms are really badly cut (machine) and I hate the pinking fuzzy mess. It's to prevent raveling put that pink fluffs off and then you lose your charm size. When a pack is really bad - I use them as 4.5" squares (trim them) Good for you in sticking to it. I agree with charm cut.The top quilt is gorgeous!Happy quilting! !